About 50,000 cocoa seedlings will be distributed to cocoa farmers in the Kwahu East District of the Eastern Region under the government’s ‘Planting for Export and Industrialization’ Programme. As part of government’s plans to boost rural development, a total of 150,000 crafted cashew seedlings will also be distributed to farmers in the area. 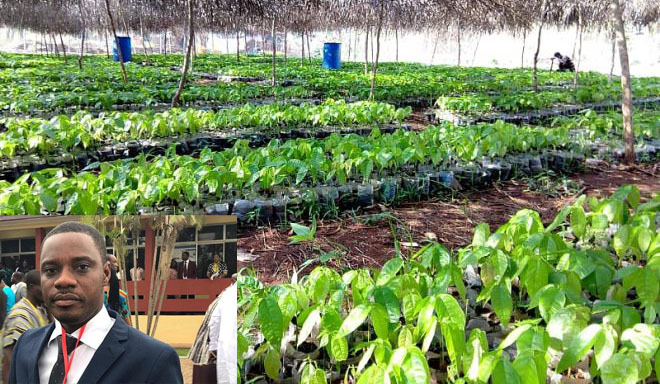 District Chief Executive (DCE) of Kwahu East, Isaac Agyapong, who disclosed this to DAILY GUIDE after touring the nursing site to inspect ongoing projects, said the cocoa and cashew seedlings would enhance production in the district and boost its internally generated revenue. He explained that the assembly has also equipped farmers in the area with skills to effectively manage cocoa farms to ensure bumper harvest. Mr. Agyapong said they would ensure distribution in every part of the district to help the farmers improve their work. The DCE said under the cashew project, farmers would receive the seedlings free of charge and also benefit from various technical services and advice. He said the seedlings have undergone a series of technical analysis and are expected to improve yields and good harvest. He called on the youth in the area to take advantage of the government’s policies to create jobs for themselves and reduce poverty in the district.